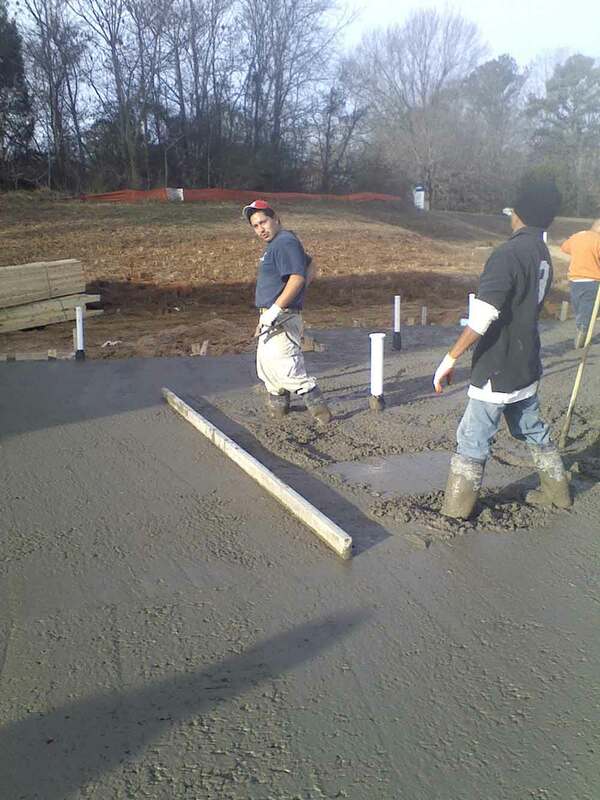 Not only do we do concrete cheap, but we specialize in a variety of different areas; we know how to install decorative concrete, as well as replace and repair concrete in need of maintenance. Every project gets our full attention and dedication, personalizing our plan of action to meet your needs. We will not stop until we have your full satisfaction. 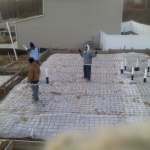 Concrete refers to a type of material primary made up of course granular filler within cement. The material is designed to firmly hold together the particles inside, binding the structure together very strongly. Because of this, concrete makes a fantastic material to create whole structures, as well as paths with heavy traffic. This includes pools, floors, walls, patios, parking lots, driveways, sidewalks, foundations beneath the house, sidewalks on the block, dams, fences and much more. The Romans were the first ones to use concrete initially, and now it's a common building material globally. In fact, it's used more than twice often than aluminum, steel, plastic and wood materials combined. Many people mistakenly believe that concrete is synonymous with cement, alternating the word when they might actually mean the other material. This is not accurate whatsoever. 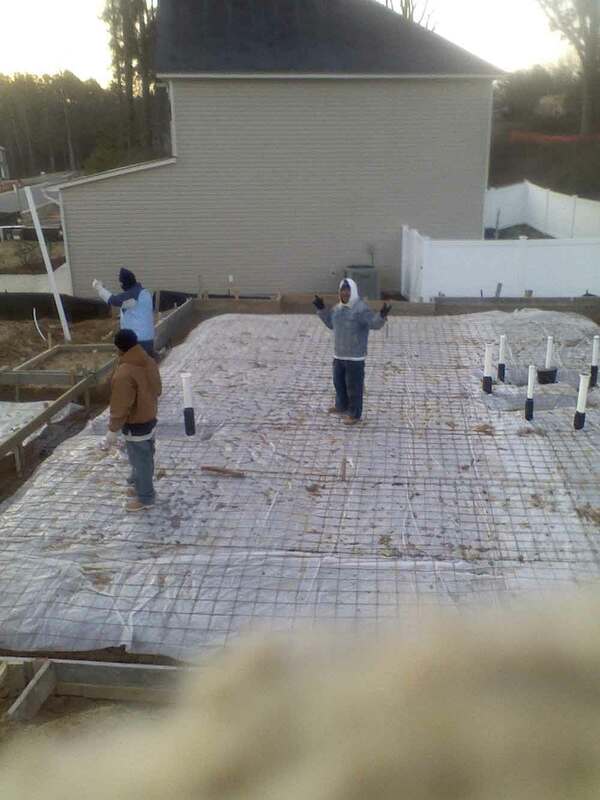 Cement is a part of the concrete mixture, and the concrete is the structure formed. 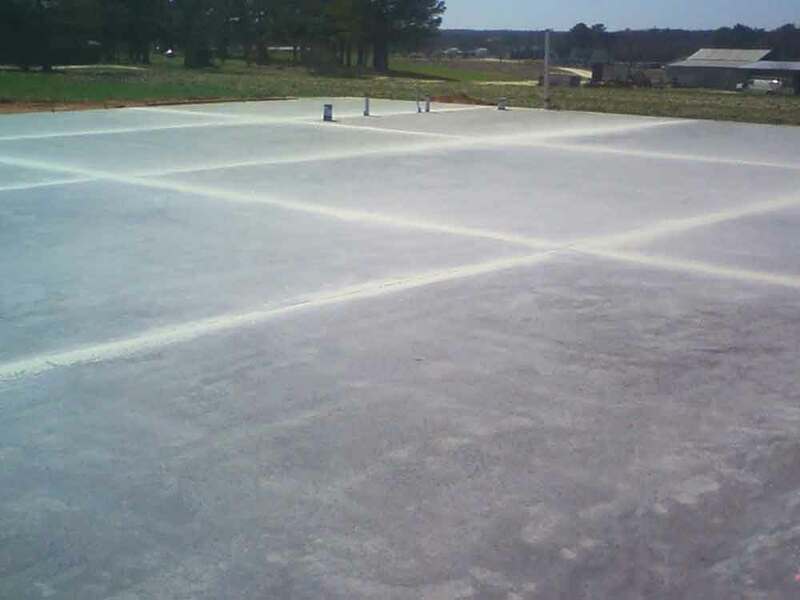 We always have operators available ready to discuss differences in concrete materials for your next home or commercial project in the North Carolina or southern Virginia area. Give us a call to schedule an appointment! When Does a Driveway Need Repair? We receive several questions from our customers in the area. The one that comes up the most often: How can you tell when it's time to repair or replace a driveway? In truth, many homeowners and business owners are not aware of the symptoms of a driveway that requires repair, waiting too long before working with a concrete contractor. Because of this, we find that we can only repair about half the driveways we inspect. The rest require full replacement. We make this decision by considering a number of factors on-site. For one, we examine how old the concrete is and what kind of cracks and similar wear and tear it has. 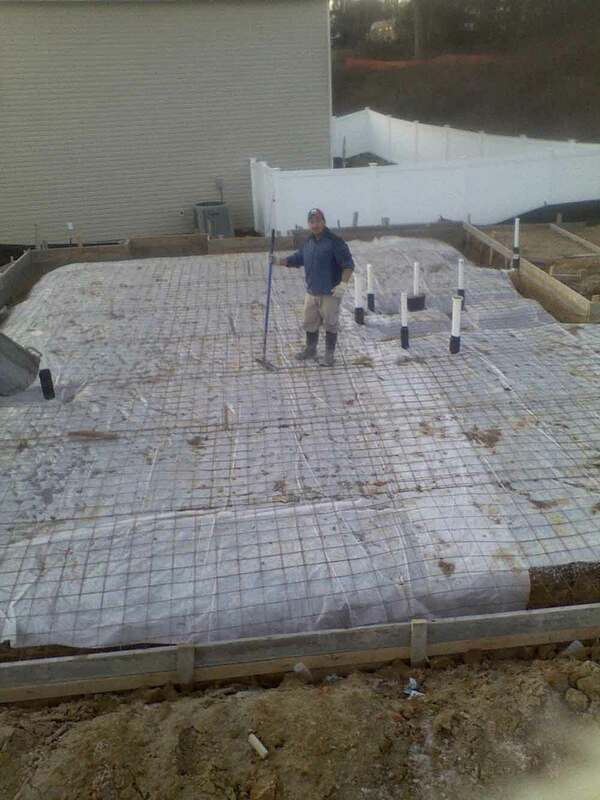 We check what condition the base of the driveway is in, what kind of weather it had to withstand, water flow patterns and pressures in the area that could cause natural damage to the concrete surface. 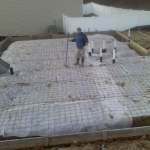 If there are problems underneath the concrete, such as a shift in ground or roots growing, then it makes little sense to repair the area just for the problem to recur. 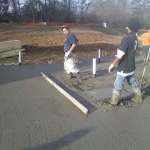 If erosion spreads too far or there are several cracks, it makes more economical sense to replace the entire driveway rather than try to make several overlays, repairs and patches. In that same vein, if you intend to remain on the property for several more years, just replace the concrete now -- it'll be necessary down the line anyway. If any damage and erosion exists in an isolated area, then it might be better worth sticking with basic repairs instead. This will cost less overall and take less time. 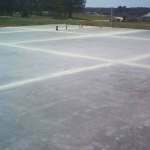 We will always discuss all options that you have available based on the condition of your driveway. We also provide you with a free estimate after our inspection. Much more! We always strive to offer the best workmanship and quality service at a price you can afford. We always provide great detail with our projects. 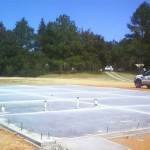 We are a highly trusted concrete specialist in the southern Virginia and North Carolina area, providing personalized concrete solutions. 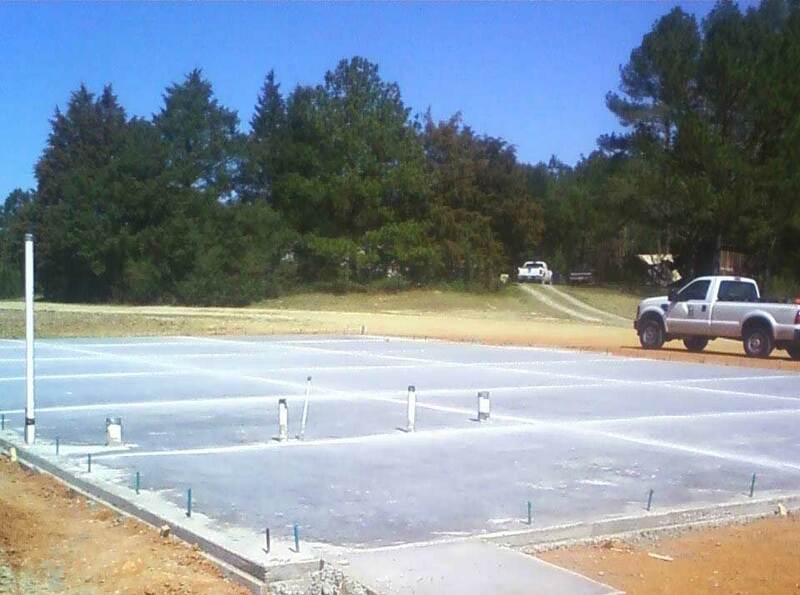 We recommend employing a number of tactics when you're ready to pick a concrete contractor for your concrete needs. Some of these tactics include basic common sense, but others are not quite so obvious. For starters, ask your relatives and friends for references. Do your homework and see what kind of work the company has previously done, ask them whether they had any problems and how quickly the job was done. Be sure to check out the website and call a few companies to compare services and prices. Be equally sure you're comparing fairly; some may offer a lower price but don't have as many services that you need or use thinner concrete. Finally, discuss your needs with the estimator to receive a free estimate on your project. Compare the information you receive -- and give us a call when you're ready.